Alek Wek attends as Aerie celebrates #AerieREAL Role Models in NYC on January 31, 2019 in New York City. Alek Wek's knee-high boots added a touch of edge. 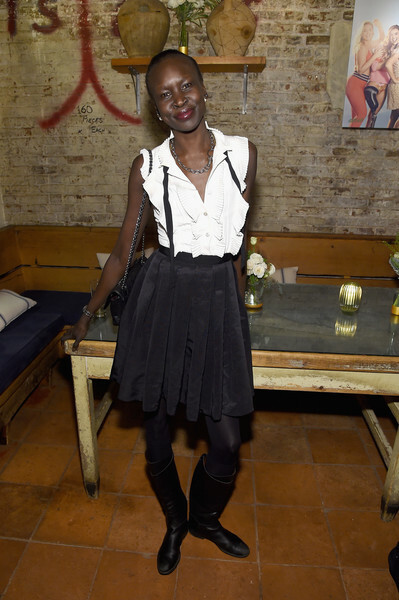 Alek Wek attended the #AerieREAL Role Models celebration wearing a sleeveless white ruffle top. Alek Wek looked preppy in her pleated black mini skirt.